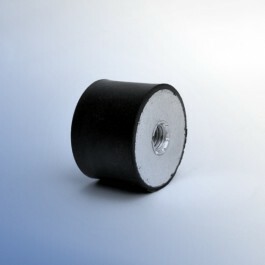 Cylindrical anti-vibration mount with excellent isolation and vibration dampening. 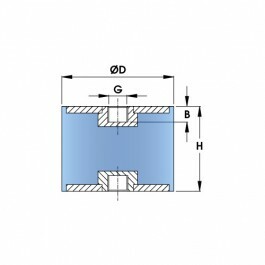 FEMALE - FEMALE Cylindrical mounts, a simple and cost effective mount. 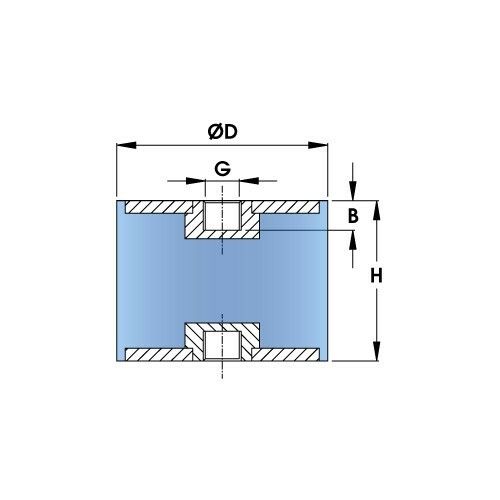 For use in compression and shear. A very large range of available size and studs. C Female / Female anti-vibration mount. 10 (D) Diameter of the mount in mm. 17 (H) Height of the mount in mm.